We planned the transfer of the head office of a general logistics company. 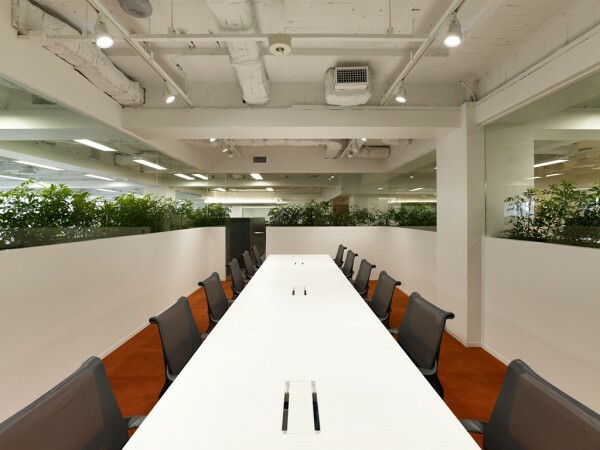 We were asked to turn the 1,500m2 floor facing the Imperial Palace into an office that would ensure the space with open working spaces, private rooms for executives to congregate, a conference room, etc., while providing large-capacity storage. 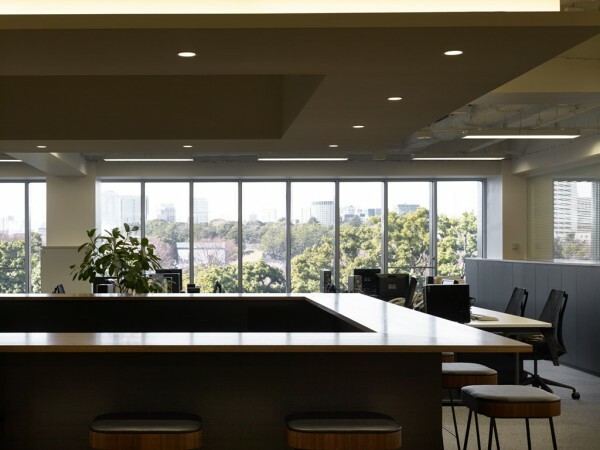 Storage was secured by placing copy rooms and meeting rooms surrounded by low cabinets, and a drink-bar counter dispersed as islands throughout the office space. 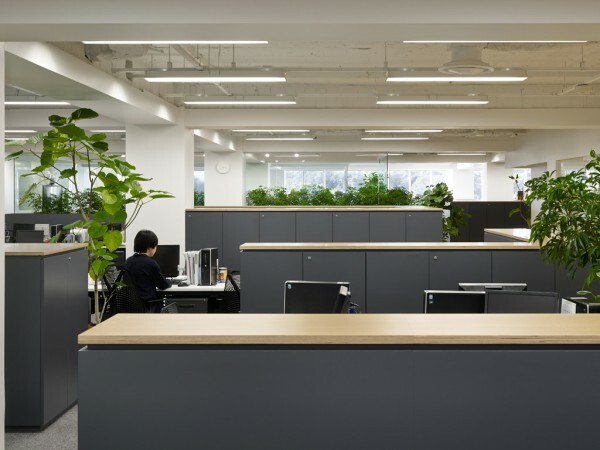 Thus creating a space commanding a full view of the office from which the stretch from the window overlooking the Imperial Palace can be felt. Public functions, such as free spaces, reception rooms and meeting rooms, are gathered around the core of the common corridor. 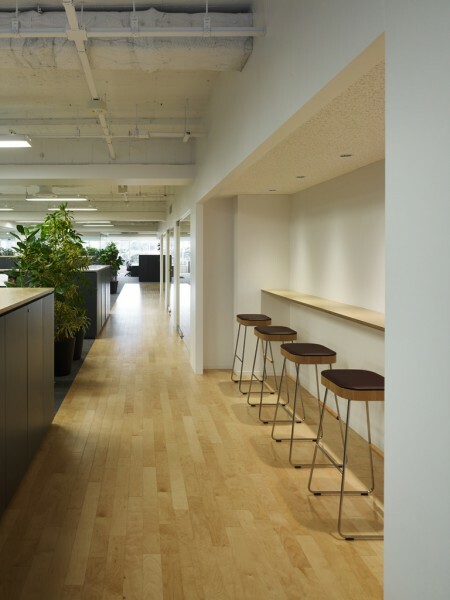 Moreover, the flooring from these rooms extends like a wooden deck, creating a buffer zone with the adjacent work space. Our efforts were not limited to spaces for customers but were actively directed at creating a place of relaxation and refreshment for employees, such as the coffee space and the library. 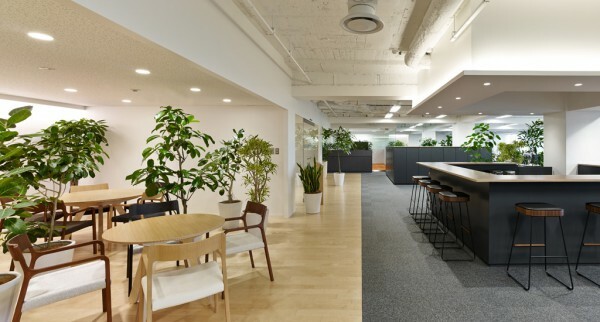 The margin created by the office space relates to the various interspersed functions like a street where the passage between the two promotes communication between fellow employees and gives spirit to the office.